We have a very special guest visiting the farm tomorrow… Mr. Wayne Roberts, Canadian food policy analyst and writer. Wayne was the manager of the Toronto Food Policy Council (2000-2010), which is composed of 30 food activists who are responsible for developing a food policy for the City of Toronto. Wayne, a leading member of the City of Toronto’s Environmental Task Force, aided in developing numerous official plans for the city, which included the Environmental Plan and the Food Charter, both of which were adopted by the City of Toronto Council (2000 and 2001). We look forward to meeting you Wayne! Some of you may be curious as to what the farm actually looks like and how things are run, so this blog is dedicated just to that! 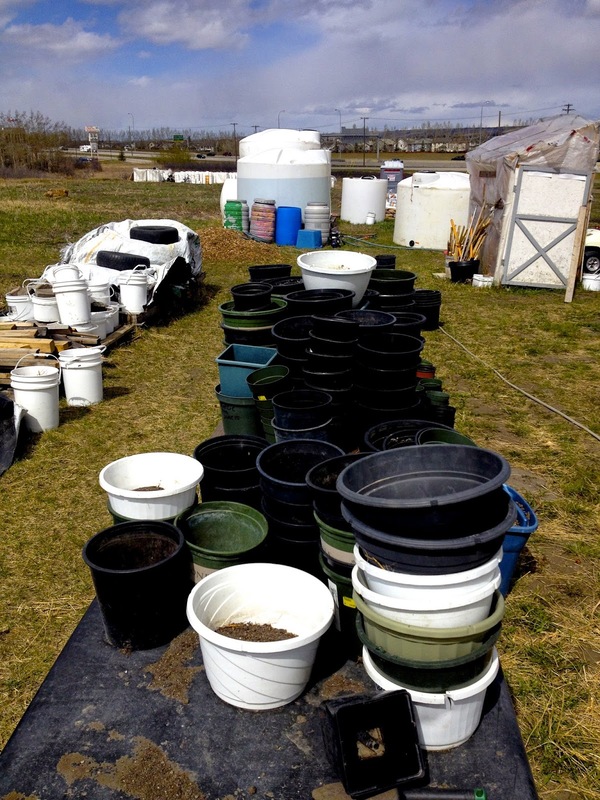 The farm is located just past Canada Olympic Park on West Valley Road, just off of the Transcanada Highway. 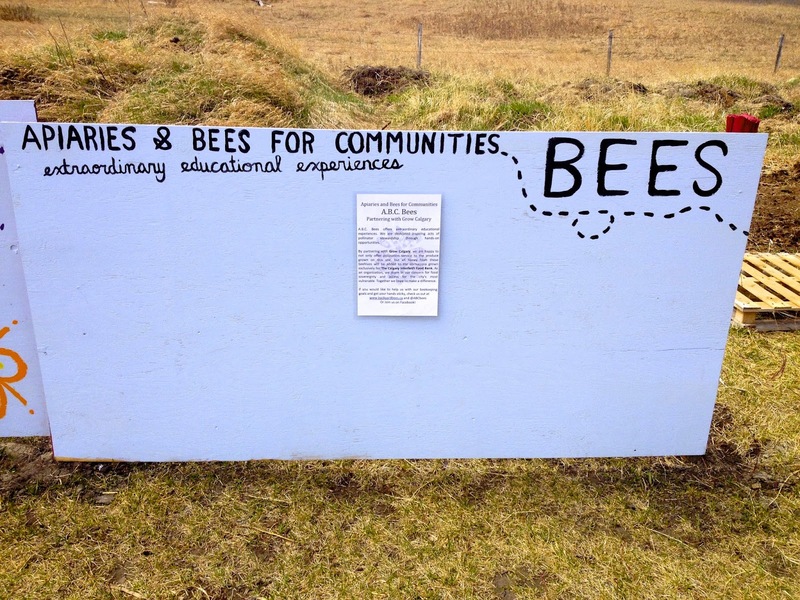 The farm is entirely volunteer run, with no funding whatsoever. 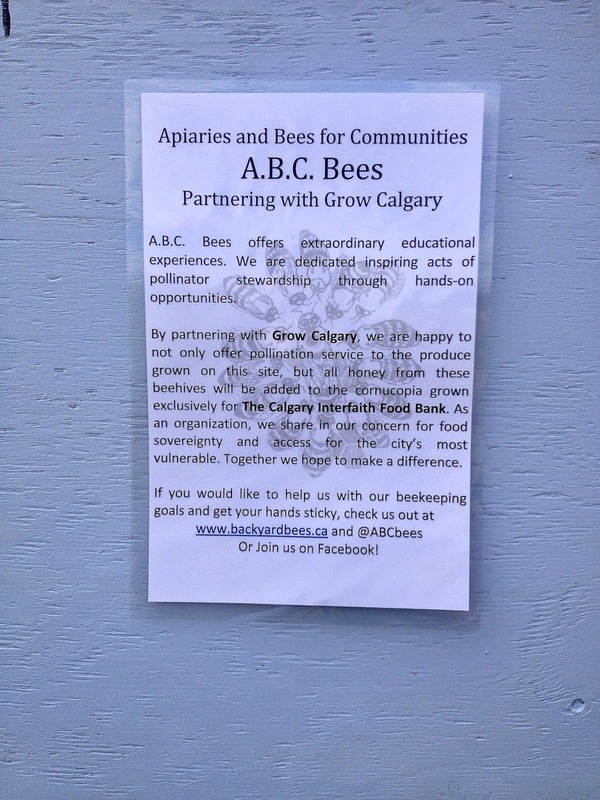 Everything that is grown is harvested and sent to the Calgary Interfaith Foodbank. With it being the beginning of May, things are just getting started, preparing the land to be seeded, and getting the seeds germinated early so they are ready for planting when the time is right. While I was there, we had some volunteers working on a strip of land that was going to be planted with potatoes soon. To prevent erosion of the soil, we use mulch on top of the land after we have planted the seeds. 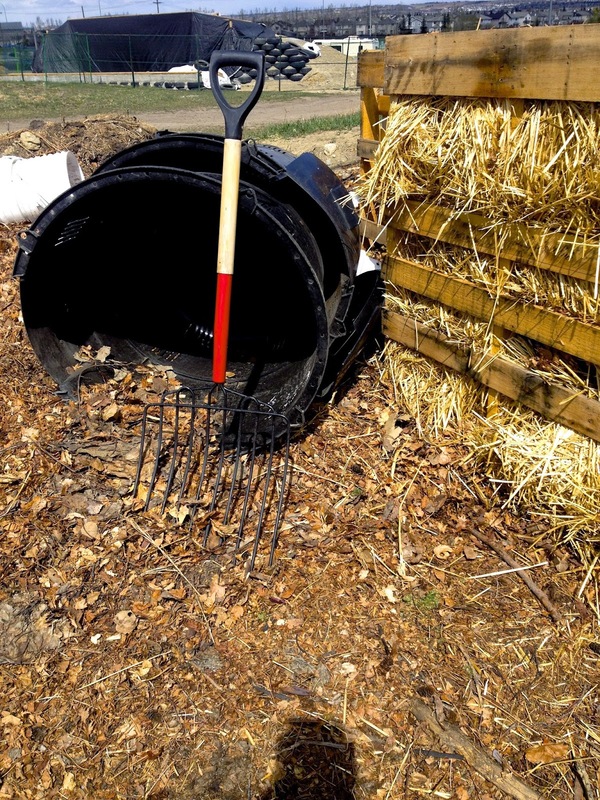 The mulch usually contains straw/hay, as well as woodchips and dark brown soil. This is then added on top of the seeds, thus preventing wind erosion. 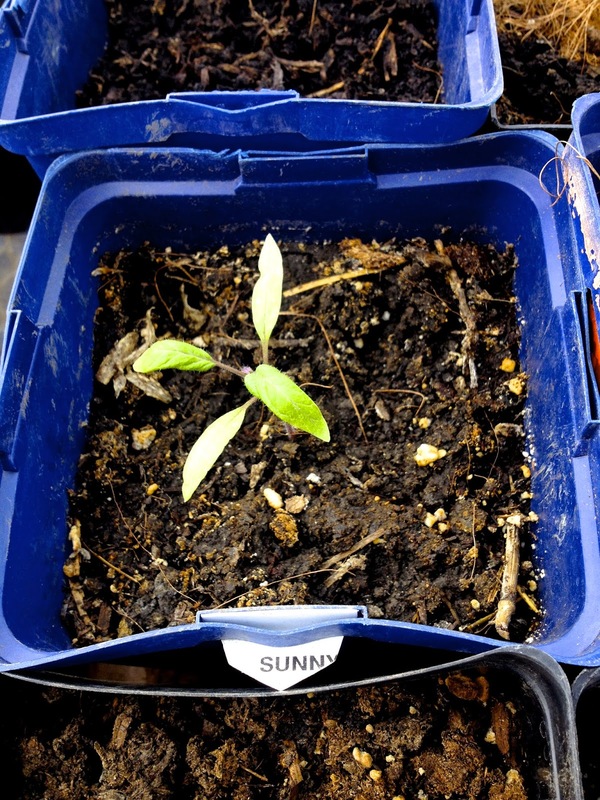 But, before being planted, seeds must be germinated in the greenhouses. Below are some photos of that germination process. There are a few greenhouses on site, with 2 or 3 still being built. 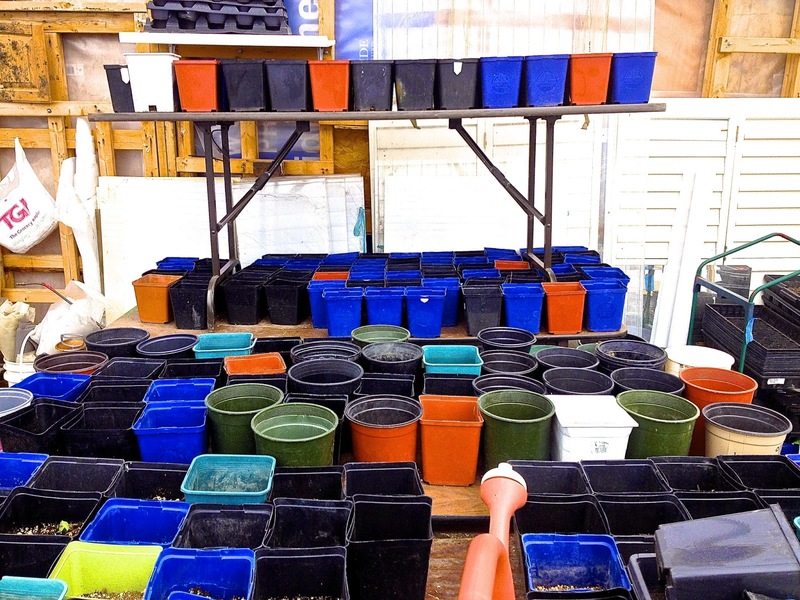 One greenhouse houses the majority of germinating plants (shown below). The farm also has its own assembly line for its designated soil for pots (it was under a tarp, so I couldn’t snap a picture). 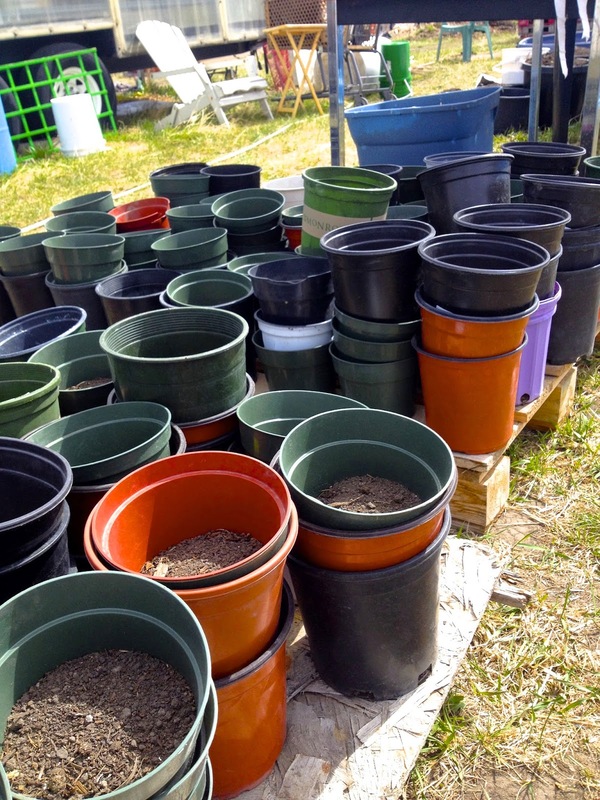 Below are some of the pots awaiting seeds. 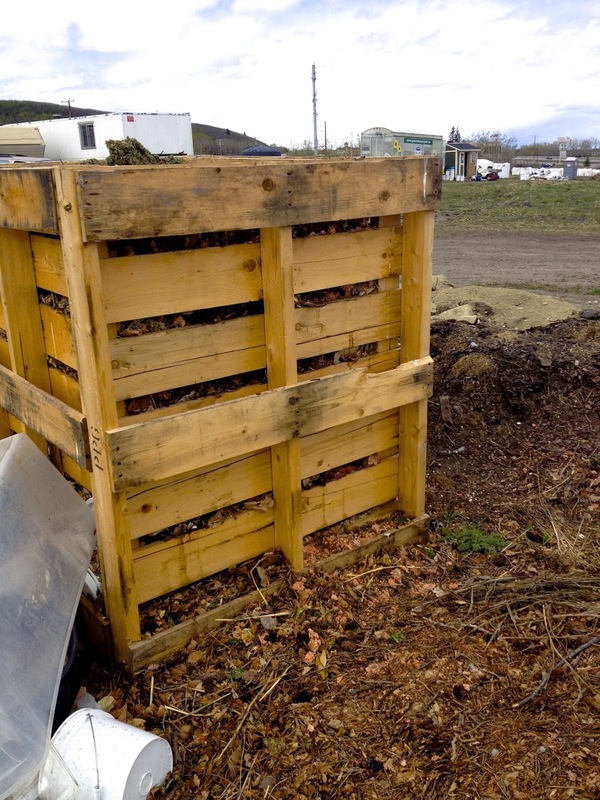 In addition, there is on-site composting that is being cultivated to add nutrients to the soil. 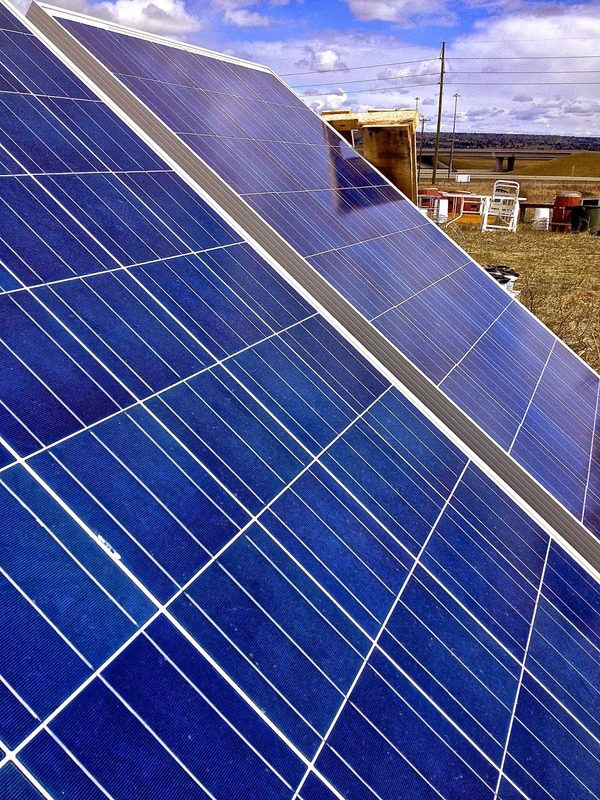 The farm currently is not hooked up to power, but that will be changing in the next few weeks! 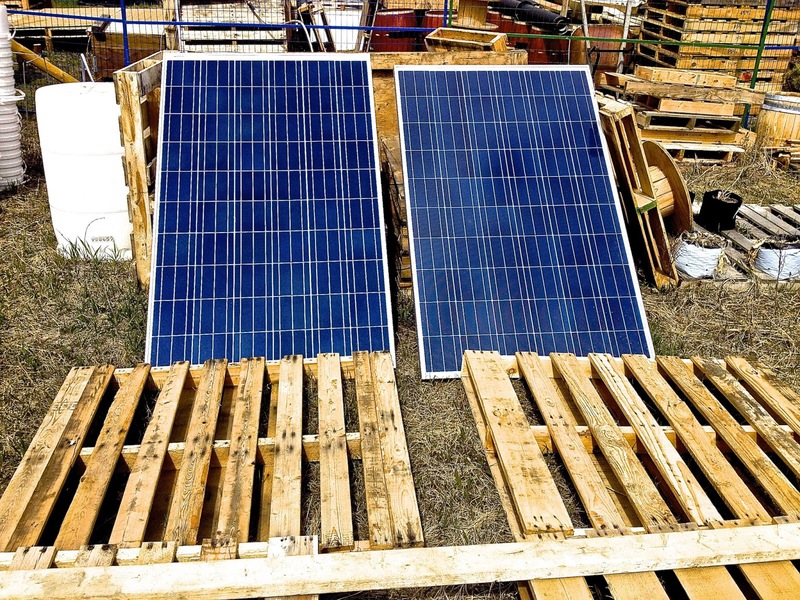 There is no running water either on the farm, but by using solar panels, we are able to pump water from a near-by creek to supplement the rain-barrel water collected for irrigation. 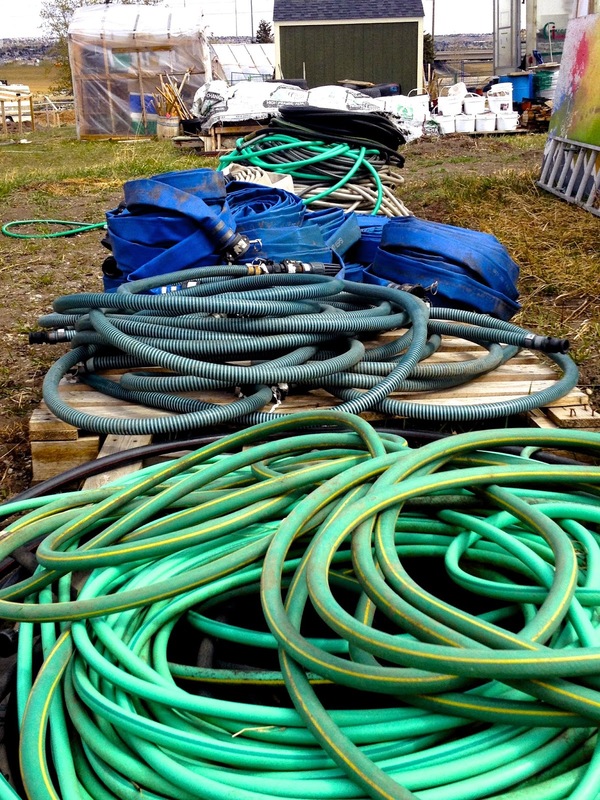 Here are some of the hoses and irrigation hoses that are just waiting to be used! Just recently, we have added a hive to the farm!! Below are some photos of the wind wall that protects them. 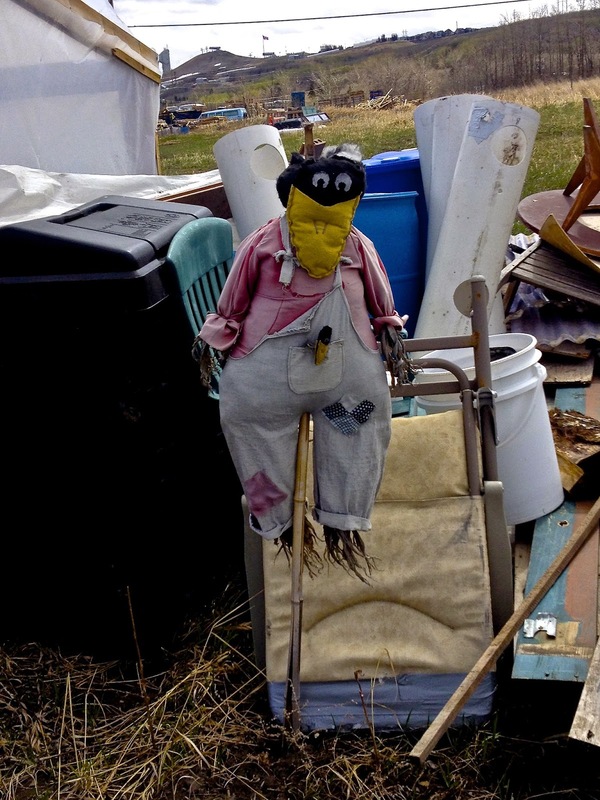 We also can’t forget our handy-dandy scarecrow that deters birds from eating our crops! I hope this gives some insight into how the farm is run, and what’s going on around. Send us a message on Facebook or send a message through our website to volunteer with us soon. Hope to see you guys soon!! This week’s vegetable is green peas! 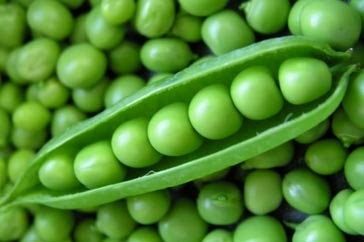 Peas are technically a fruit, but we usually classify them as vegetables. Green peas are an annual plant that provide us with essential nutrition. Peas can be eaten immature, when they are green, or they can be picked at full maturity and are essentially dried, which then can be used in soups, curries, and other dishes. Fun fact: Peas aren’t just healthy vegetables, they are scientifically important. In 1822, Gregor Mendel used pea plants to study genetics and inheritance. This lead to the principles of Mendelian genetics, which is the basis for genetics today! Peas are an excellent addition to any garden due to their nitrogen fixing bacteria on their roots. Gardens can become nitrogen deficient if nutrients aren’t replaced, so planting peas and other legumes can alleviate this problem. Peas are quite sugary and starchy, however, they provide dietary fiber, and essential nutrients, like vitamin k, vitamin c, manganese, copper, vitamin B1 and B6, as well as folate, among other nutrients. This week’s recipe is garlic snap peas! An easy and delicious way of preparing green peas (if you haven’t already ate all of them picking them from your garden). Heat a wok or large skillet on the stove. Add the oil and swirl around the pan. Add the peas once the oil has had some time to heat up a bit. Stir for 3-4 minutes, until the peas have started to soften, but retain their crispness.